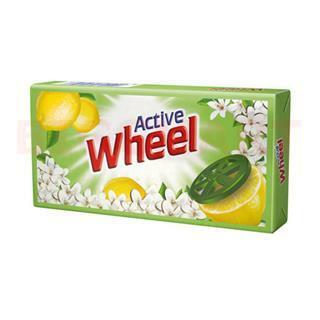 Active Wheel Detergent Bar is efficient in removing stains which is not an easy task for the other laundry bars. Wheel active bar also maintains the whiteness of the apparels. Wheel bar maintains the colours of the clothes and does not let them fade away early. Wheel bar helps the clothes remain strong for a long time period as it has a gentle effect on the clothes.